Each season brings different struggles to keep your hair looking beautiful. Check out our 5 tips for healthy hair all year long. Not long ago our hair was battling against the hot sun and chemicals from the pool. Now winter is almost here and bringing with it dry air, static and hat hair. While I will admit, I’m not the type of girl that really cares a whole lot about makeup and beauty, I do always want my hair to look its best. My hair has always been one of my favorite physical features as it’s always gotten compliments no matter what my self-esteem or size was at the time. So, it’s important for me to do everything to help keep my hair looking its best. As I get older, it’s honestly getting to be a bit more work to keep my hair looking awesome so I couldn’t resist putting together these 5 tips for healthy hair all year long. 1. Use quality products on your hair. Especially when you’re on a budget, it can be tempting to buy the cheapest hair care products you can find. However, they aren’t always the best of quality for your hair. Do your research and try different shampoos, conditioners and other treatments to see what your hair responds to best. 2. Protect your hair from the elements. The cold weather months can be especially hard on your hair with the dry weather, wind and all sorts of precipitation. Remember to use hats, hoods, scarfs and the like to protect your hair from the elements. 3. Be careful to not over style. Styling our hair is one of the easiest ways to share our sense of style and identity with the world. But, it can be pretty tough on our hair. Both heat and hair color can strip and dry out our hair, so try to not overdo it. I think that one of the best things I do for my hair is to let it air dry 99% of the time. 4. Remember that super hot water isn’t super great for your hair. At the start of a super cold day or the end of a super stressful one, there’s little better than a super hot shower. However, if you’re washing your hair with that same water, it can wreak havoc on both your scalp and hair causing dry hair and an itchy, flaking scalp. 5. Keep your hair healthy with good nutrients. Just like with all the other parts of our bodies, our hair thrives on proper nutrition. It can be tough to get all the nutrients we need for truly healthy hair just from food, though. I don’t know about you all, but I can only stomach so much salad and veggies in a day. So, I love the idea of Hairfinity Hair Vitamins. 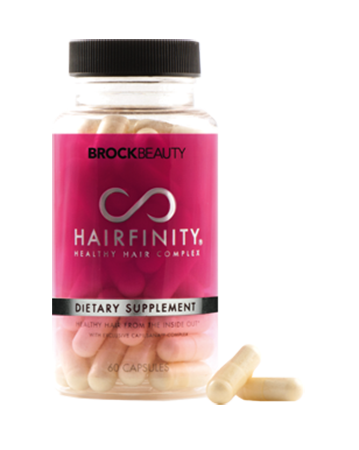 What are Hairfinity Hair Vitamins? It’s a natural vitamin complex that restores missing nutrients to not only encourage hair growth but also makes hair shinier, thicker and longer. 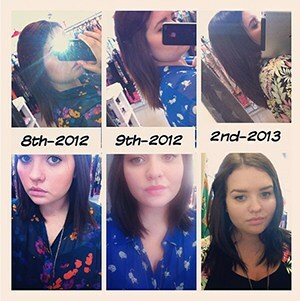 Doesn’t Jorja’s hair look even more beautiful after a short amount of time of using Hairfinity? I love that the Hairfinity Hair Vitamins contain lots of good-for-you stuff like Biotin, Niacin, B vitamins and more, without extra junk that you have no idea what it is. It’s also clinically proven to increase hair growth rate by 155%, while decreasing shedding, which I love because sometimes I feel like I shed more than our cats! All you have to do is take 2 capsules a day, with each bottle containing a 1-month supply. Besides, with celebrities like Kim Kardashian, Khloe Kardashian, Taraji P Henson, and more using Hairfinity, you know it has to be good, right? 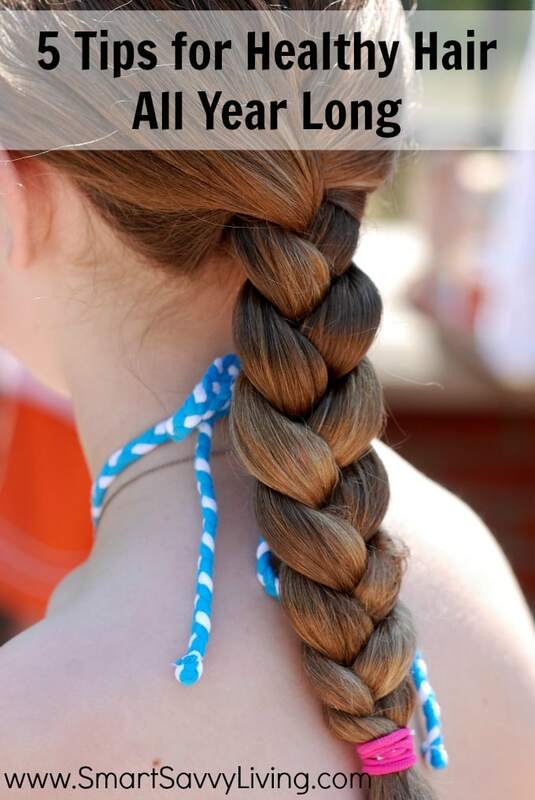 Do you use any of these tips for healthy hair all year long? « Bloggers: Earn Extra Money with IZEA!